You'll get to YOUR next level networking/masterminding at our next meeting! We're connecting and serving Contractors, Real Estate Investors and Landlords. Monthly Meetings, Networking and Quality Real Estate Investor Education! Unnecessary or Important Negotiating tool? "I've looked at everything. This isn't my first Purchase. What could I possibly miss? I've seen everything that's wrong and accounted for it in my Offer! I'll save the $500-600 on a nebulous Inspection Report." "What's the worst that could go wrong? Boiler, Knob & Tube wiring, Roof, Foundation, Appliances? I'm covered, if my Offer is accepted!" When Buying in this Hot Sellers Market, do you ever feel you may have overlooked something? This could be the reassurance you need that you've got a good Deal! Or it could help justify your Offering Price to the Seller, that things need work and $! How about if you're Selling? Could you avoid the Surprises that a "TwoFer" Inspector scares your Buyer away with? *After our meeting Tuesday April 30, I know you'll realize the value of this important tool - A Professional Home Inspection! *Or at the very least you'll have the insight to "look under every rock", for the defects that are not obvious, when Buying. *You'll also know the value of Repairs. *Most Importantly, You Will know, when to Walk Away from a Purchase that Your Competition will foolishly Overpay for! PS Our meetings are where you'll meet the folks you Want: Contractors, Investors, Landlords or Potential Partners you need. 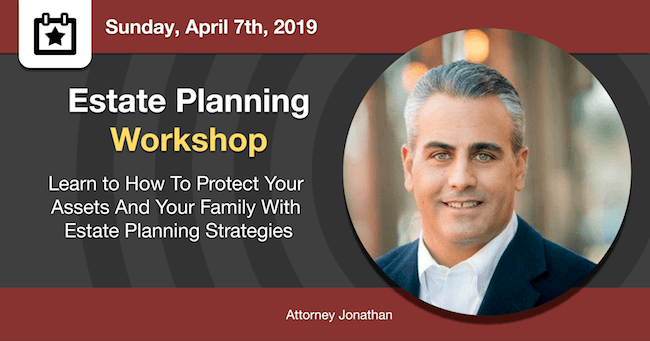 if you (or a family member) is close to retirement, this is a perfect workshop to get a full understanding of the estate planning process on what to expect (estate-wise) in the next phase of your life. We’ll review a service for running Tenant Checks & a Property Management company. Self-directed IRA/401(k) investing allows investors to diversify their portfolios with assets including, real estate, mortgage notes and trust deeds, small businesses, joint ventures, private equity, and precious metals. Michelle Brady of Equity Trust, a self-directed IRA custodian, will offer education and examples of investing in real estate and other alternative assets through tax-advantaged retirement accounts. Attendees will leave the presentation with the knowledge of self-directed investing’s wealth-building potential. Bonus! Equity Trust offers MAREIA members a free self-directed account for one full year, a benefit available to you for being a member of a National REIA chapter. Find out more at the meeting, we look forward to seeing you there! ​Also, a new Segment with THE GENIE, Local Market Update, Short intro's on Home Inspections, Insurance & of course Marco's famous Pizza for networking! Buy Low and Sell High! We make a profit from our efforts and we're rewarded. However Once you get into Rehabbing and Construction, How do you know how much that will cost? We're preparing our Tuesday, February 26, 2019 6:30 - 9pm meeting to cover ESTIMATING so you don't get caught short and/or Lose money if there's work to be done! January 29, 2019 - Final reminder for this evening at 6:30pm. Most of you Real Estate Investors know that THE best way to find Great Property Deals is Door Knocking, however it take a little gumption until you know the “best practices”. A couple of months ago we put a group together for this purpose, starting with 12 Peabody, MA Foreclosures. This turned into 30 more properties where the owners were interested in Selling. In addition to those 30, one of our members uncovered a potential Home Run, a Great Deal that turned into 3 Deals but because of the misunderstandings of How Probate Works the Deals were lost:-( After our expert Attorneys teach you How to Work in Probate this evening you will Never Again lose a Probate Deal! 6:00 Doors Open. 6:30 Register & Buy, Sell & Networking and Miele appliances demo. 7:30 Chris on why you may (and may not) want your LTC License To Carry a Handgun. He’s offering the 3 hour Mandatory LTC course to our Members for $20. $49 for non-members). 7:45 Review of the Door knocking system... Main Speakers Attorneys David and Jonathan on How you can work with the Massachusetts Probate System. What’s a Will consist of and an Offer from these Attorneys to draft YOUR Will, should you decide you need one? 9:00 Recap and Adjourn. Our growing network of members and attendees create the perfect environment for Success: Need a Contractor? We have an extensive list in our database and the best ones attend our meetings on a regular basis! Need customers? Our Contractor Members can present their services at our Meetings! 20% off Paint at the check out register. Access to the Bid Room for possible discounts on purchases over $1,500. The Home Depot is the fastest growing retailer in U.S. history and we are committed to helping you grow your business. ​​​​​Want to stay up-to-date on what's happening at MassRealEstate? 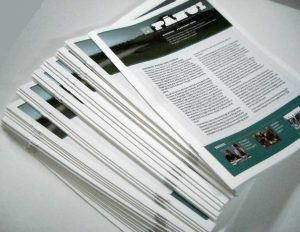 Our newsletter will gently land in your inbox at random intervals, bearing real estate investor secrets tips and resources. You'll also get exclusive material available only to newsletter recipients, like first dibs on class registrations and contests. When you suffer a Loss, better contact our good friend, Len Theran! 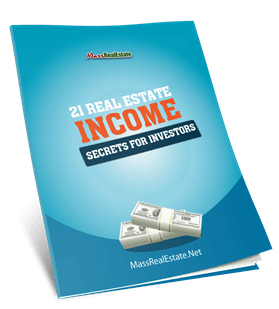 21 Real Estate Income Secrets! Want To Know The 21 Most Profitable Secrets The Most Successful Real Estate Investor's Use To Create 6 & 7 Figure Investing Businesses? www.MassRealEstate.net.com (Massachusetts Real Estate Investors Association) does not give legal, tax, economic, or investment advice. MassRealEstate.net disclaims all liability for the action or inaction taken or not taken as a result of communications from or to its members, officers, directors, employees and contractors. Each person should consult their own counsel, accountant and other advisers as to legal, tax, economic, investment, and related matters concerning Real Estate and other investments.